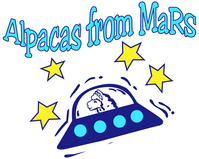 So excited to have had Foxy's Fortune in the Alpacas from MaRS herdsire line up! Rose gray, full Bolivian, and handsome, handsome, handsome. Fortune is built like a tank, all on a compact frame. His color is striking, almost a burgundy shadow over his entire blanket area. And have I mentioned his striking profile? What a head on this guy! Fortune is proven with a few daughters on the ground but he just didn't get the work he deserved at his place of birth. He's placed very well in some tough competition at the shows in WA and OR. He was put right to work on MaRS and the results have been awesome! He definitely passes on his very boxy frame with a broad chest. He's the perfect choice for your females that need a bit of solid structure. 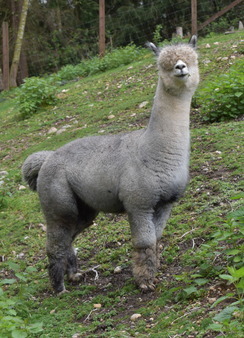 His crias have a nice dense fleece with plenty of character and staple length. 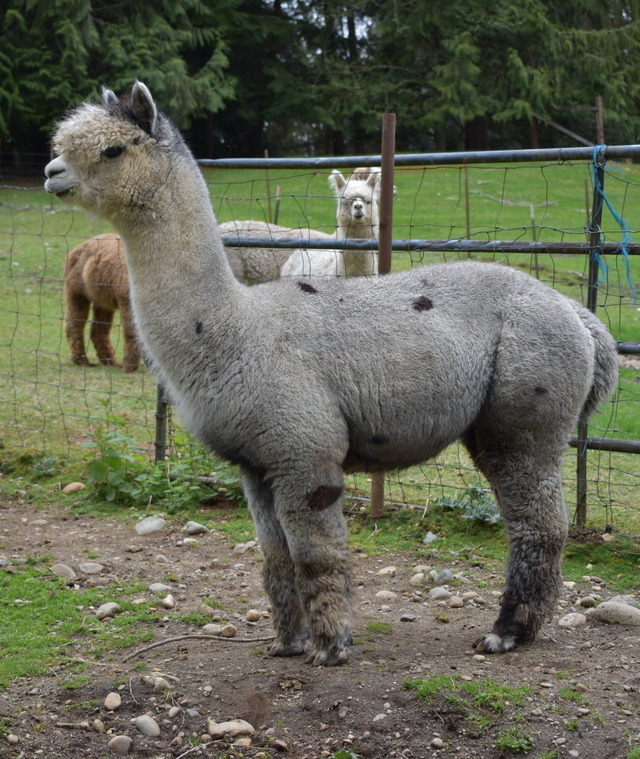 We will be shearing his offspring for the first time and can't wait to get the histogram results. Fortune is currently in Oregon with his co-owner for the near future and unavailable for services in WA at this time. 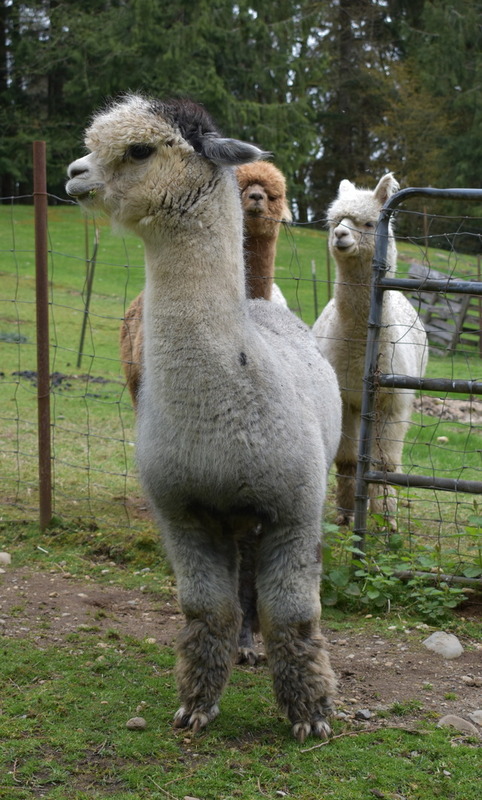 We are retaining at least two of his crias into our herd. 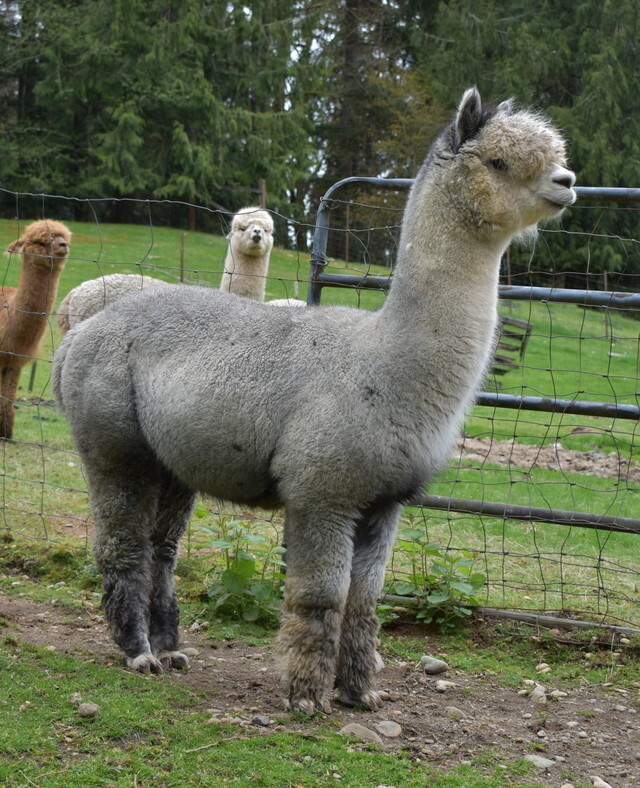 We hope to have one of his sons available for breeding services in the summer of 2015. What a beautiful female! Jamuna was a pleasant surprise color-wise from a light fawn dam and a medium brown sire. Jamuna is a petite female on a well balanced frame. 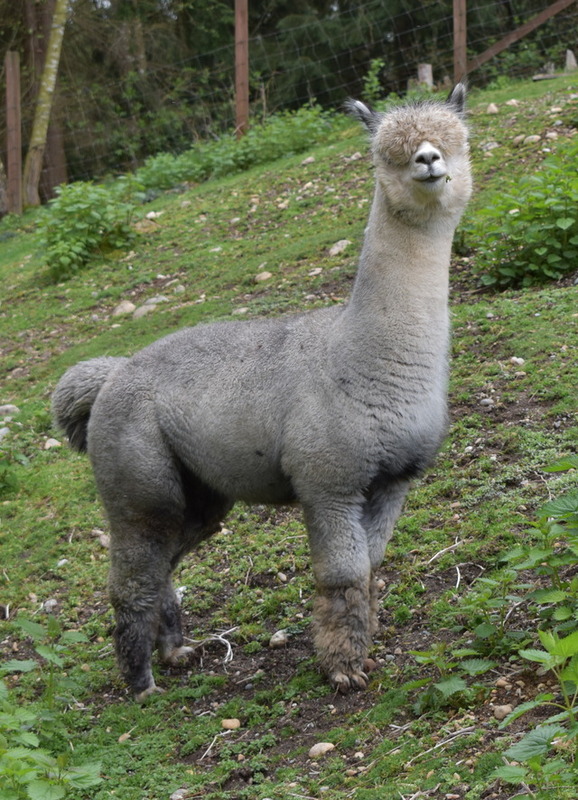 Her fleece has a favorite with hand-spinners, one of the first to be snatched up after shearing due to it's unique color! It has nicely defined high amplitude, low frequency crimp that holds together with consistency across the blanket. 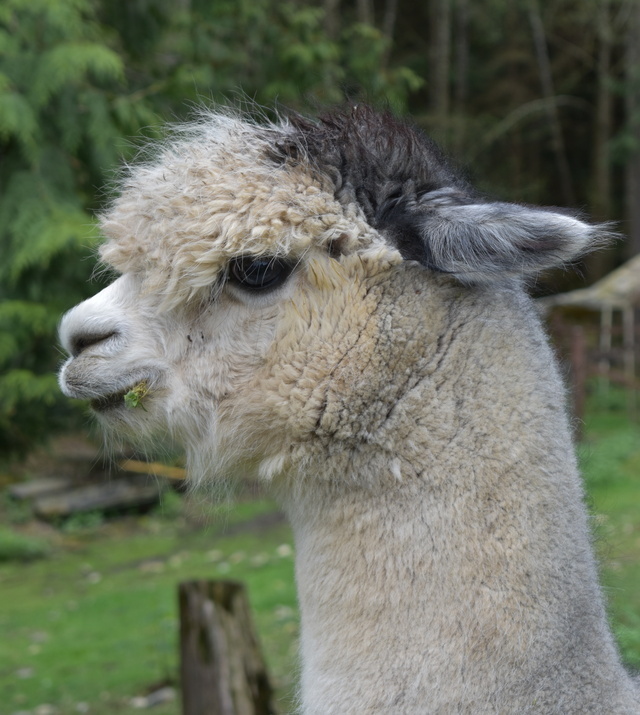 Jamuna is maintaining her fine fleece as she ages. Stocky, well put together young male with stunning silver fleece that just continues to get more and more consistent with age. 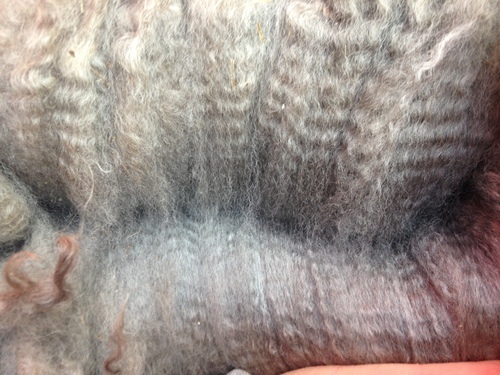 Each blanket fleece has showed consistency in crimp and fineness. His fleece is perfect for pairing with silk! We've decided to hold onto Stoney and use him to our own breeding program. Check out his very impressive fiber stats! Stoney is a male to put on your watch list. His first progeny are on the ground, two gorgeous silvers, and a true black.